Calaveras Big Trees State Park is a state park of California, United States, preserving two groves of giant sequoia trees. 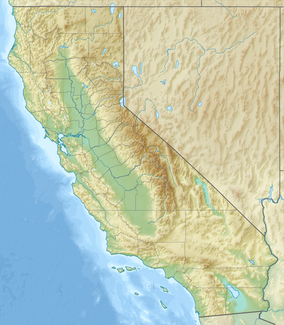 It is located 4 miles (6.4 km) northeast of Arnold, California in the middle elevations of the Sierra Nevada. It has been a major tourist attraction since 1852, when the existence of the trees was first widely reported, and is considered the longest continuously operated tourist facility in California. Parcels of land that would later become the state park and nearby national park were optioned by lumberman Robert P. Whiteside in January 1900, with the intention of logging. A protracted battle to preserve the trees was launched by Laura Lyon White and the California Club. Despite legislation in 1900 and 1909 authorizing the federal government to purchase the property, Whiteside refused to sell the land at the offered price, preferring its higher valuation as parkland. It was not until 1931 that Whiteside's family began to divest the property, beginning with the North Grove. The area was declared a state park in 1931 and now encompasses 6,498 acres (2,630 ha) in Calaveras and Tuolumne counties. Over the years other parcels of mixed conifer forests, including the much larger South Calaveras Grove of Giant Sequoias(purchased in 1954 for US $2.8 million, equivalent to US $26.1 million in 2018 dollars), have been added to the park to bring the total area to over 6,400 acres (2,600 ha). The North Grove contains about 100 mature giant sequoias; the South Grove, about 1,000. According to Naturalist John Muir the forest protected by the park is: "A flowering glade in the very heart of the woods, forming a fine center for the student, and a delicious resting place for the weary." The North Grove includes two sequoias that were cut down or mutilated only to be reassembled in exhibits. The "Discovery Tree" was noted by Augustus T. Dowd in 1852 and felled in 1853 leaving a giant stump and a section of trunk showing the holes made by the augers used to fell it. It measured 25 feet in diameter at its base and was determined by ring count to be 1,244 years old when felled. At the time the grove was discovered by white explorers, the Discovery Tree was measured by Dowd and others as the largest tree, and it was cut down to advertise the tourist attraction. The stump was later turned into a dance floor. John Muir wrote an essay titled "The Vandals Then Danced Upon the Stump!" to criticize the felling of the tree. A second tree named the Mother of the Forest was stripped of its first 100 feet of bark. Today only a fire-blackened snag remains of the Mother of the Forest, and the Discovery Tree has been renamed the Big Stump; the largest tree in the North Grove today is the Empire State tree, which measures 30 feet at ground level and 23 feet at 6 feet above ground. In addition to the popular North Grove, the park also now includes the South Grove, with a 5-mile (8.0 km) hiking trip into a grove of giant sequoias in their natural setting. The South Grove includes the Louis Agassiz tree, 250 feet (76 m) tall and more than 25 feet (7.6 m) in diameter 6 feet (1.8 m) above ground, the largest tree in the Calaveras groves. It is named after zoologist Louis Agassiz (1807–1873). Other attractions in the Park include the Stanislaus River, Beaver Creek, the Lava Bluff Trail, and Bradley Trail. The park houses two main campgrounds with a total of 129 campsites, six picnic areas and hundreds of miles of established trails. Other activities include cross-country skiing, evening ranger talks, numerous interpretive programs, environmental educational programs, junior ranger programs, hiking, mountain biking, bird watching and summer school activities for school children. Dogs are welcome in the park on leash in developed areas like picnic sites, campgrounds, roads and fire roads (dirt). Dogs are not allowed on the designated trails, nor in the woods in general. ^ ""This iconic and still living tree — the tunnel tree — enchanted many visitors. The storm was just too much for it," the Calaveras Big Trees Assn. said on its Facebook page. ^ "The tree's exact age and height were not immediately available, but sequoias can measure their ages in millennia and grow taller than 100 yards, or more than the length of a football field. They are the tallest trees in the world, according to Mario D. Vaden, a tree expert who has worked with the Save the Redwoods League in California." ^ "It's unclear exactly how old the tree was, but The Los Angeles Times reports that the trees in the state park are estimated to be more than 1,000 years old. Sequoias can live for more than 3,000 years. The iconic tree was one of just a few tunneled-through sequoias in California. The most famous was the Wawona Tree, in Yosemite National Park; it fell during a winter storm in 1969 at an estimated age of 2,100 years. The other remaining sequoia tunnels are dead or consist of logs on their side, the Forest Service says." ^ Binkley, Cameron (2005). "A Cult of Beauty: The Public Life and Civic Work of Laura Lyon White". California History. 82 (2): 48–49. JSTOR 25161804. ^ "California State Park System Statistical Report: Fiscal Year 2009/10" (PDF). California State Parks: 18. Retrieved October 29, 2011. ^ a b c d e f "Calaveras Big Trees State Park". Retrieved January 9, 2017. ^ a b St. John, Paige; Hamilton, Matt (January 8, 2017). "An iconic tunnel tree in a California state park is no more after huge storm". Los Angeles Times. Truckee, California. Retrieved January 9, 2017. ^ McKinney, John (2002-10-13). "An autumn walk through Calaveras County's majestic groves". Los Angeles Times. ISSN 0458-3035. Retrieved 2018-06-12. ^ "How Big are Big Trees?". California State Parks. Retrieved October 29, 2011. ^ Melvin, Don; Chirbas, Kurt. "Pioneer Cabin Tree, Famous for Tunnel, Is Toppled by Storm" (Video). NBC News. Retrieved January 9, 2017. Photos show the sequoia splintered on impact. If the question is whether a tree falling in the forest makes a noise, this one probably did. ^ "Beloved California Giant Sequoia Tree Felled by Storm". ABC News. January 9, 2017. Retrieved January 9, 2017. ^ a b "The Latest: Famed giant sequoia topples in California storms". Associated Press. January 9, 2017. Retrieved January 9, 2017. ^ Bourn, Jennifer (September 28, 2016). "The Calaveras Big Trees North Grove Trail". Inspiredimperfection.com. Retrieved January 9, 2017. ^ "The Pioneer's Cabin and Pluto's Chimney - Big Tree Grove, Calaveras County" (Albumen Photograph). Library of Congress. 1866. Retrieved January 9, 2017. ^ "Pioneer Cabin Tree in California felled by storms". BBC News. January 9, 2017. Retrieved January 9, 2017. ^ Domonoske, Camila (January 9, 2017). "Iconic Sequoia 'Tunnel Tree' Brought Down By California Storm". National Public Radio. Retrieved January 9, 2017. ^ "Destination drive through trees". OhRanger.com. Retrieved January 9, 2017. 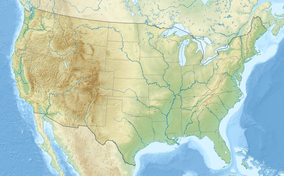 Wikimedia Commons has media related to Calaveras Big Trees State Park. "The Pioneer's Cabin and Pluto's Chimney - Big Tree Grove, Calaveras County - B&W Film Copy Neg" (Albumen Photograph). Library of Congress. 1866. Retrieved January 9, 2017. This page was last edited on 9 January 2019, at 03:20 (UTC).